After some years in IoT, I tried a bunch of different platform like esp8266 but Arduino remains a must. Arduino works at 5V and can accept as input voltage 7-12V, but with limit up to 20V (avoid it! :). Arduino board provides a 5V regulated output and a 3.3V too for working with a wide range of sensors. You got 6 Analog2Digital pins (the A0…A5 pins) with a 0..1024 value resolution. In comparison, esp8266 has only one pin with less resolution. It is completly open source, so you can find easily cheap clones like this one at less then 10 euros. The ATmega328P chip inside Arduino provide I2C and SPI communication which means you can easily work with other chip. 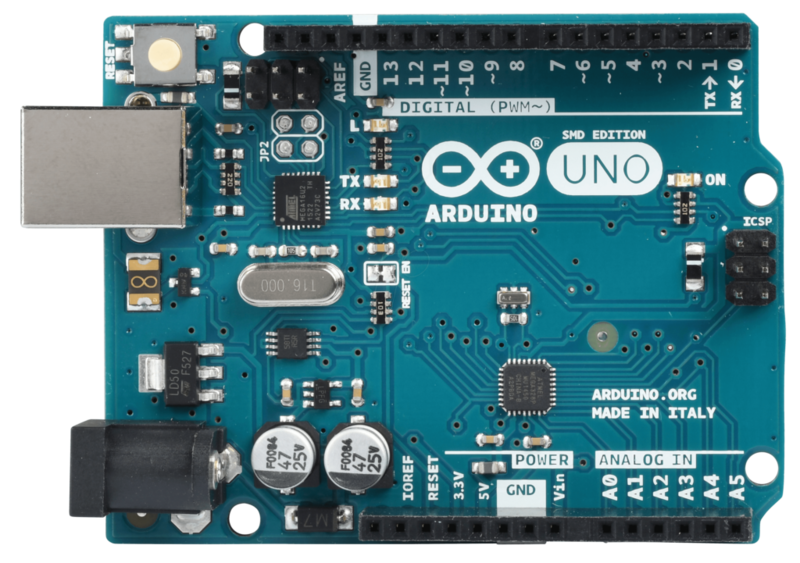 You can even program an Arduino to be an I2C client to other Arduinos making a small set of complex circuits. Did I talk about the real time operating system, written by an italian guy?…. I was able to use it to build a small “Egg box Lamp“.